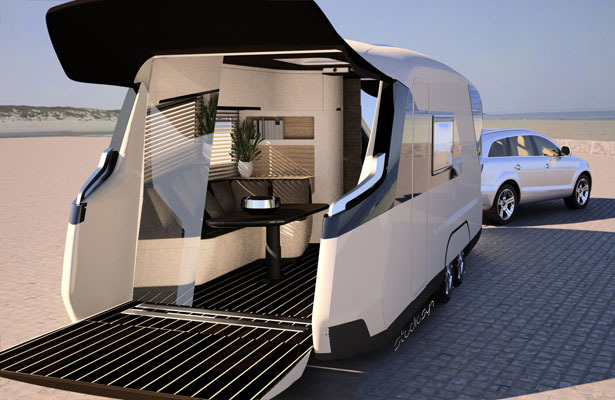 Caravisio Concept Caravan from Knaus Tabbert is a project to raise the interest for camping which unfortunately has been declining for years. 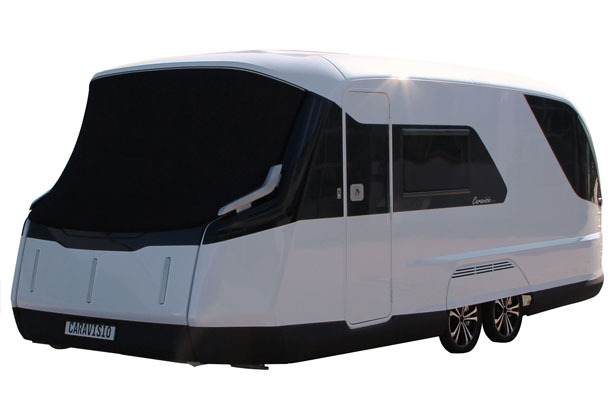 Caravanning industry has offered new and interesting concepts to encourage people to enjoy camping as a form of holiday making, but unfortunately those caravan concepts stay just concepts. 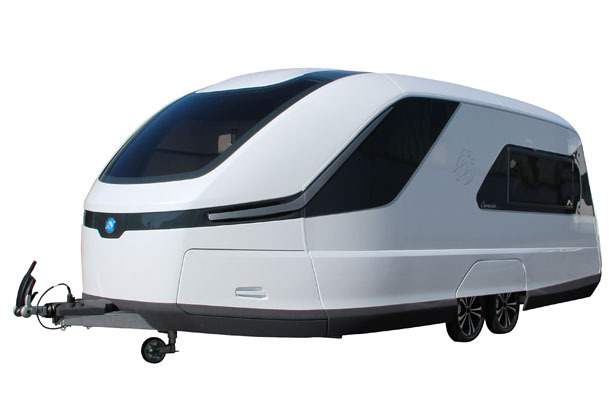 This time, Caravisio takes different approach to provoke thought and solve problems faced by travelers, it’s a caravan of the future. 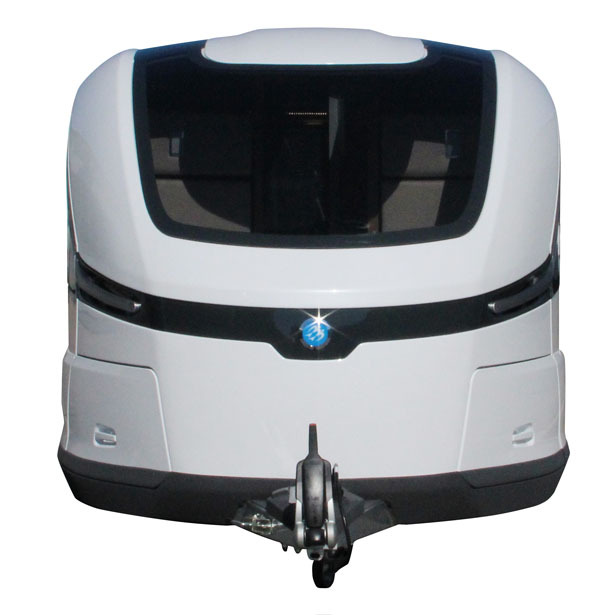 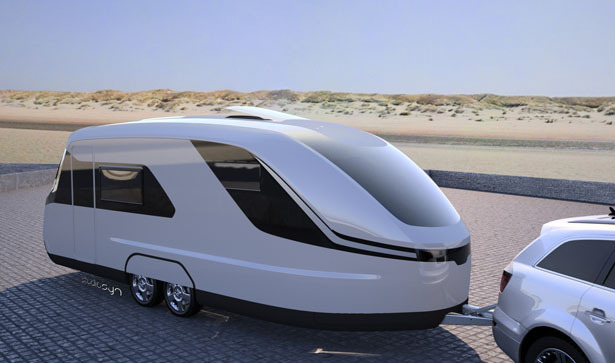 Caravisio concept caravan has been designed and developed together with an expert group of industry-established and external suppliers and designers in order to come up with a possible development of future caravan. 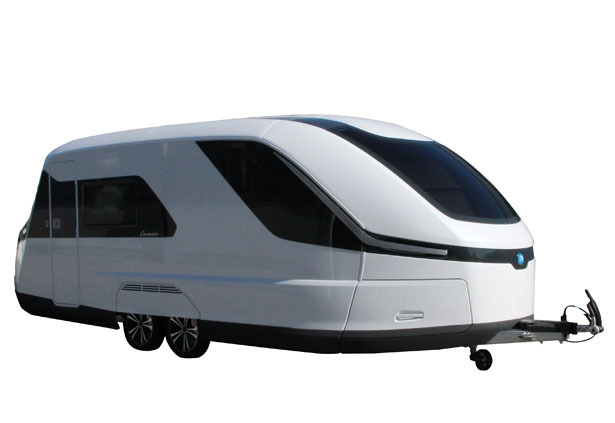 The work lasted for about 2 years, from sketches to completely designed and assembled caravan, it is also equipped with sophisticated today’s technology. 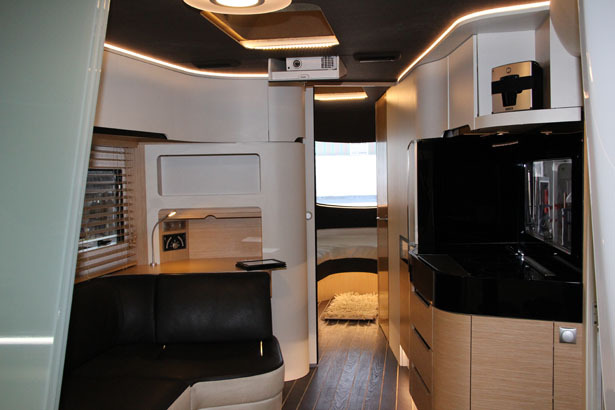 The interior layout features single beds at the front arranged in V-shape which can e turned into a double bed using a mattress extension. 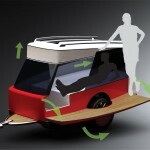 This position allows for improved aerodynamics. 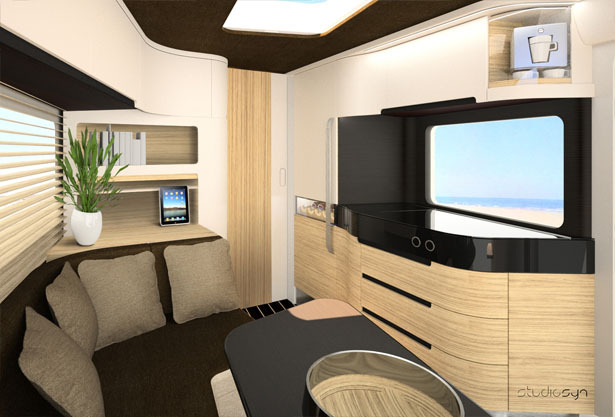 During the day, the bed with raised upholstery elements can be used to relax, passengers can enjoy great panoramic view through the large window. 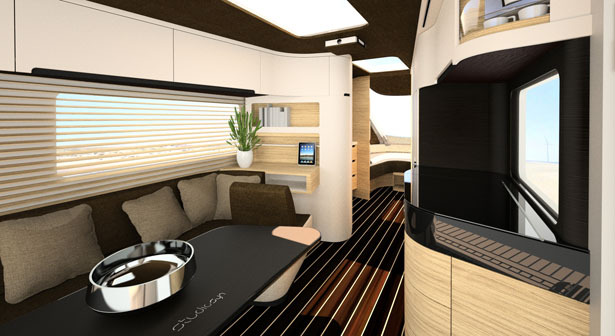 You can easily transform Caravisio concept caravan from motorhomes to caravans, perfect for both working and private life. 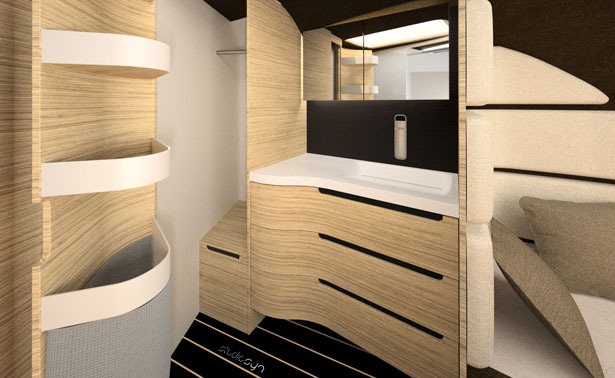 There’s a nice bathroom next to the front cockpit, shower and washroom are equipped with water control system with storage function that is controlled with a touch display. 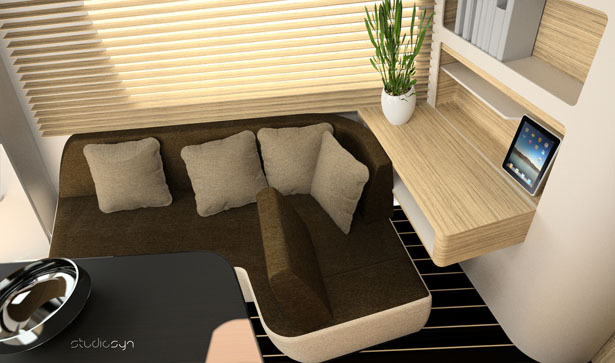 Effortlessly transform the lounge into a modern workroom, the cushions can be adjusted to create ergonomic sitting positions as you like. 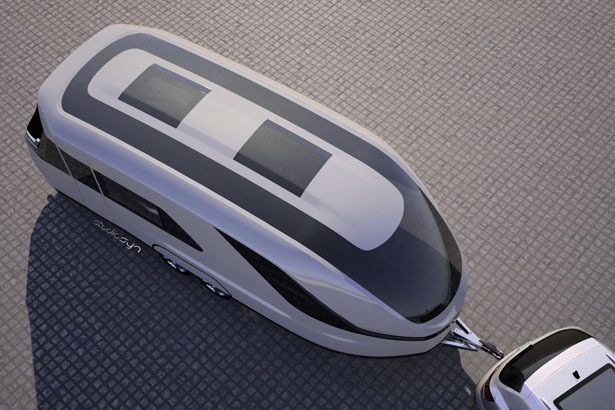 The exterior still features the basic shape of a conventional caravan but with arrow-shaped front to create positive effect on the upstream flow angle. 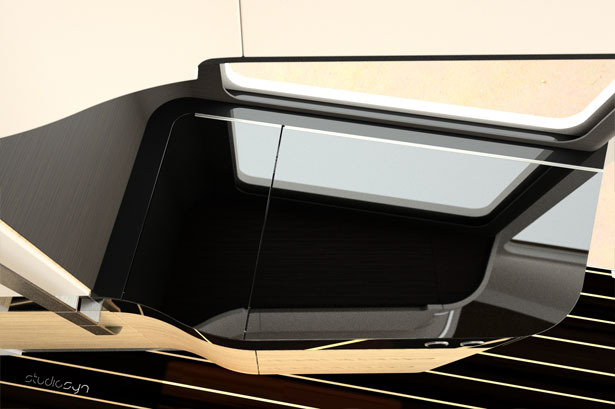 The C-pillars face inwards to reduce the wake turbulence, the constructive elements on the roof are integrated in the ceiling to allow optimal solution for both aerodynamically and optically. 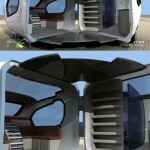 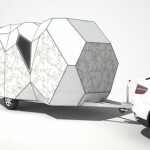 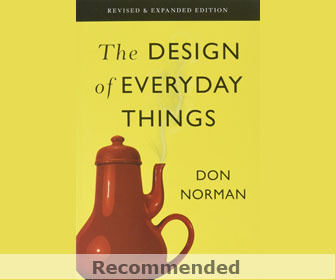 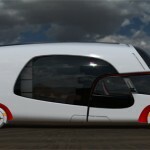 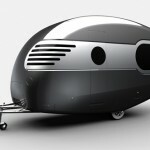 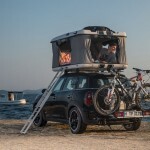 This entry was posted in Cars, Designs and Concepts, Travel. 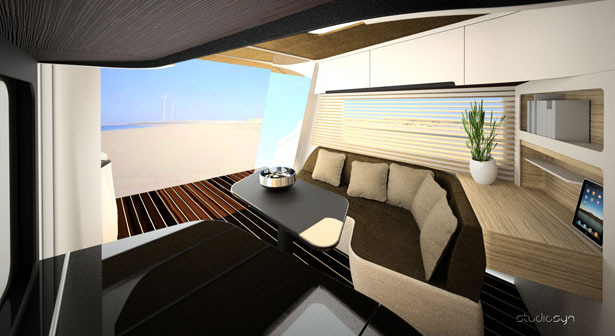 Tagged as caravan, panoramic view, private life, tabbert, wake turbulence, washroom, workroom. 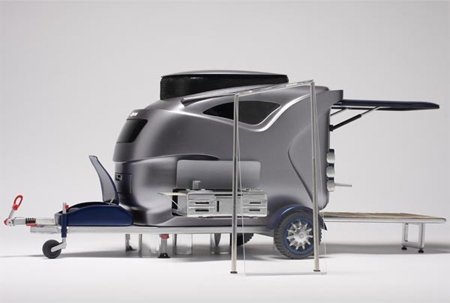 any plans to make into 5th wheel trailer model?? 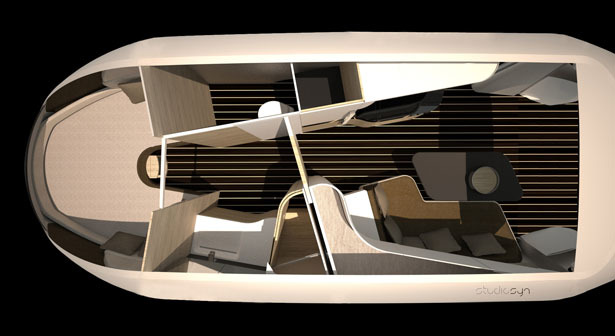 longer & wider?